This modern apartment building features spacious units, each of which are fully furnished and stylishly decorated. Everything that families or business professionals need to set up a new home is provided, including parking spaces in the building’s car park. Security is available around the clock to provide perfect peace of mind for residents. 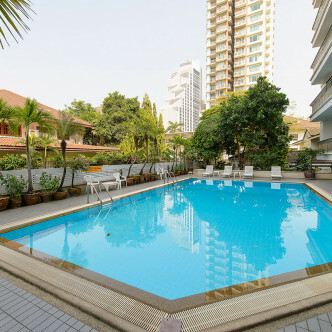 A modern fitness centre, sauna and swimming pool are just a few of the great facilities that Baan Pakapun has to offer residents. 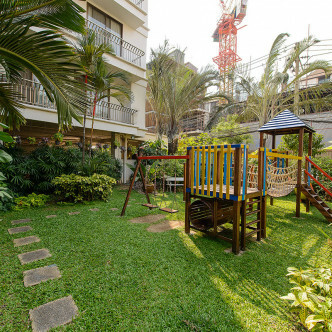 The building also features a pretty garden for residents to relax in, while children can make use of the onsite playground, which comes complete with a tipping board, swing and a slider. 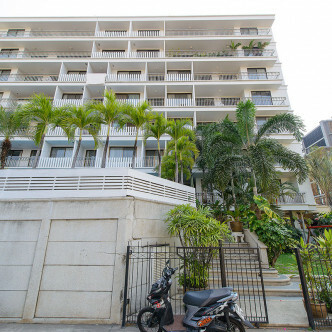 This building takes soi 24 as its location, which can be found in the Phrom Phong district within walking distance of a major BTS station. 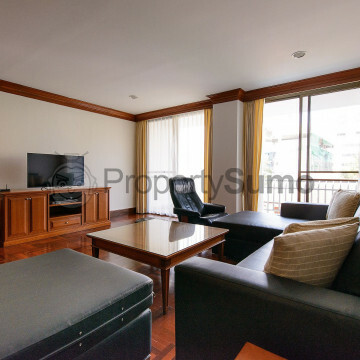 This is one of the most desirable areas of Bangkok and residents will find excellent restaurants and bars in their neighbourhood as well as the Emporium shopping mall and a large park next to the shopping mall.